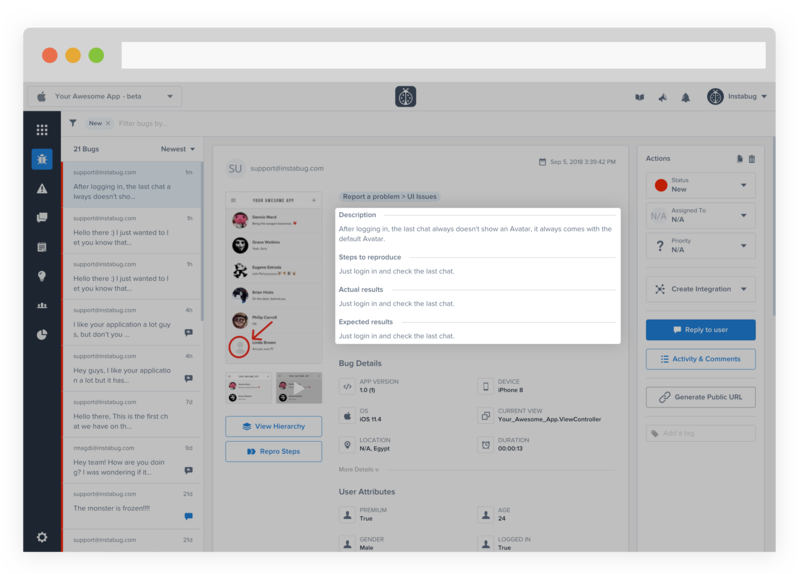 Now, enabling Extended bug reports brings more detailed bugs to your dashboard. Structured with steps to reproduce the problem, the actual results your testers see and the results they expected to see. 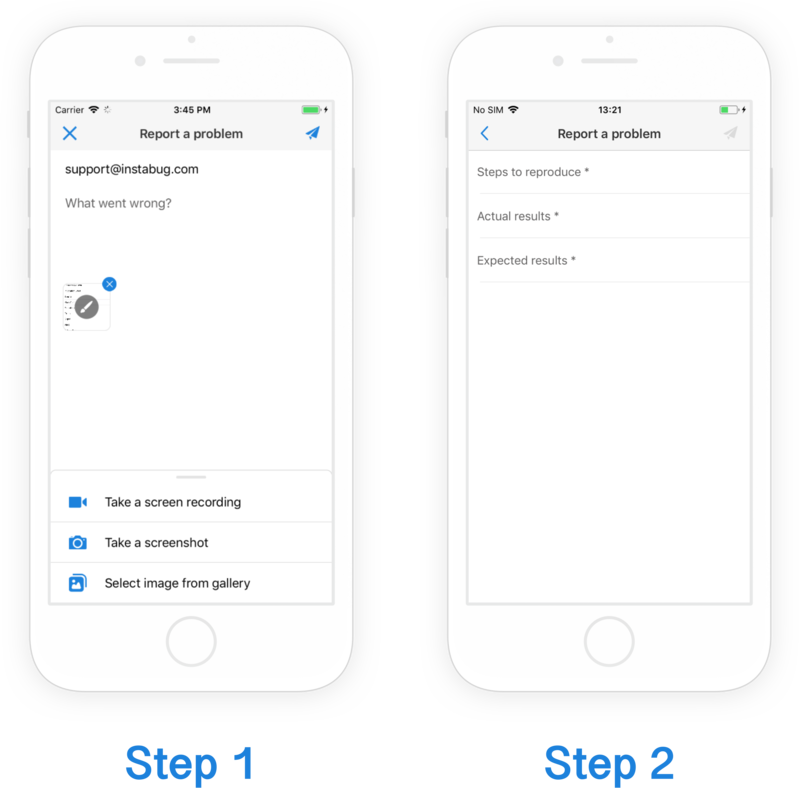 Set the Extended Bug Reports APIs in your iOS or your Android apps and ask your testers to be as detailed as they can for better issues comprehension that leads to faster fixes. You can find more details about the relevant APIs here: iOS and Android.